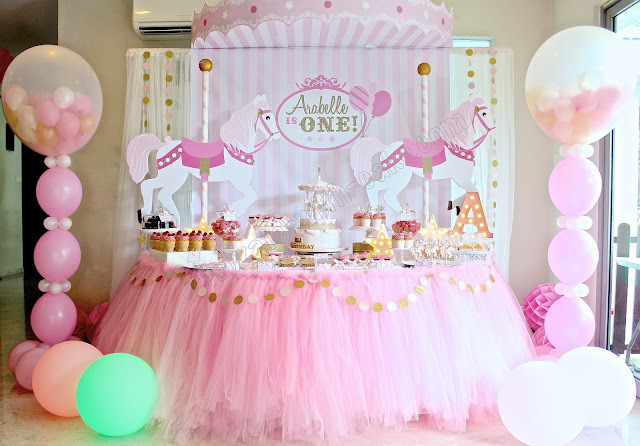 This cake was for a lil girl who adores all things unicorns and fairies and pink. 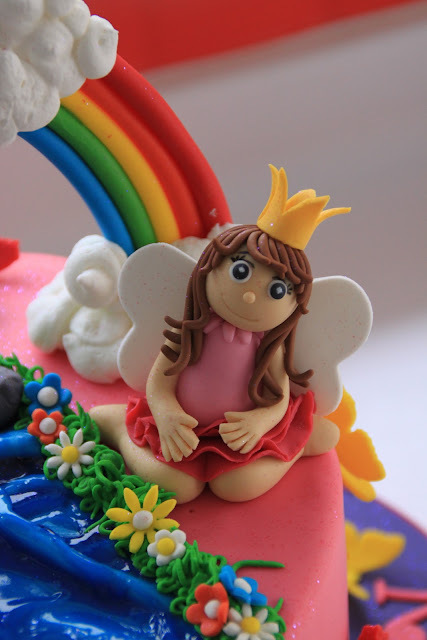 Perhaps i'm an 80s baby, but unicorns and fairies and pink immediately brings to mind My Little Pony, which was the idea behind this cake. 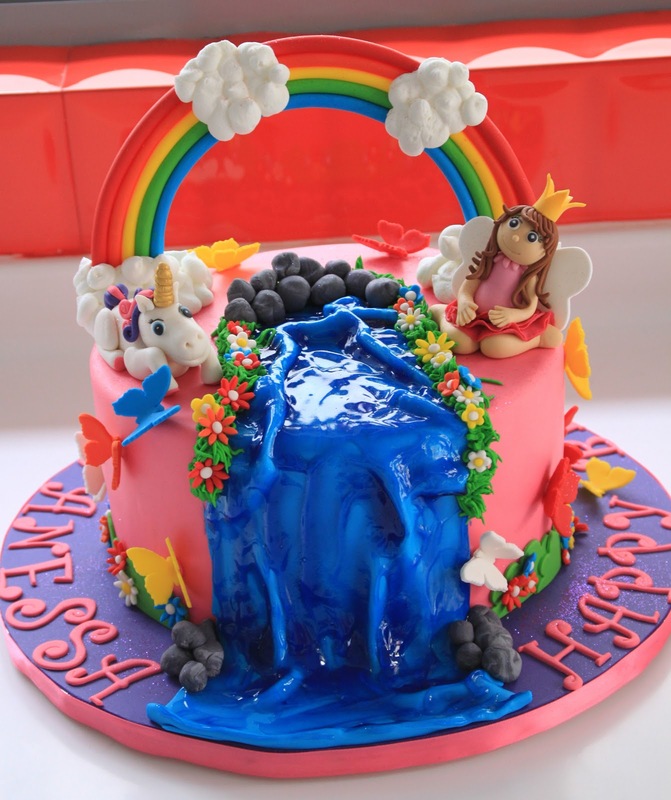 So working with My Little Pony in mind, i added a waterfall, and a rainbow to the cake set up decorated with flutterflies and blossoms. 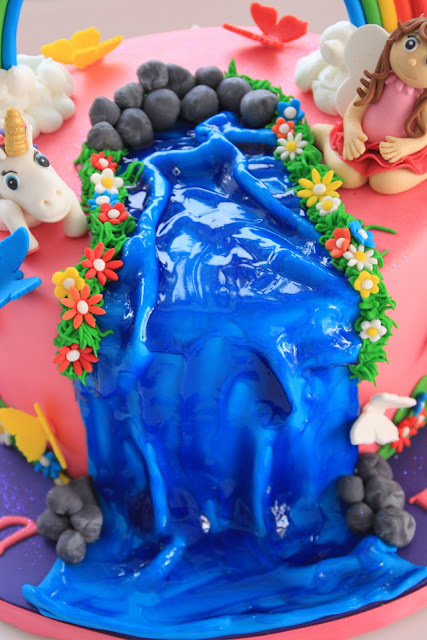 Waterfall was made using a piece of blue fondant and given a coat of piping gel tinted royal blue to give that shimmery effect. Cake was a chocolate cake with oreos filling. cupcakes were red velvet with lemon frosting.